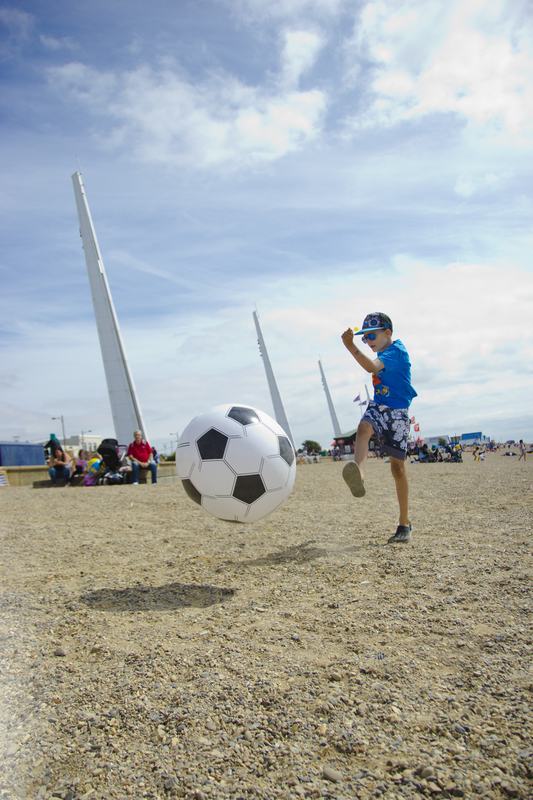 Hear more stories about how a seaside trip makes a difference. Tom and Rebecca had been trying to be parents for such a long time, so they were delighted with the birth of their daughter, Maria, in 2007. Sadly, Rebecca has never been able to get over losing two children prior to Maria, and her severe depression and anxiety make it difficult for her to find and retain work. In fact, she is rarely able to leave the house. Tom tries his best to be strong for everyone, but it’s hard – and financially it’s a struggle surviving on one wage. Tom says: “When I had to give up our car, I felt like we had lost a lifeline. That’s when I decided I needed help too and started to talk to a family counsellor, Kate. Kate referred us to the charity and I felt over the moon when we were accepted. The look on Maria’s face when we told her we were going to the seaside was priceless.” With support from our charity, the family travelled by train to Skegness for a few days in a caravan by the sea. Here, Maryam, a family support worker for young carers shares her experience as a Family Holiday Association referrer… “One family I worked with recently – a mum and her son – went to Blackpool and had an amazing time. Before they left, they were on quite a downer, things had been very difficult at home, particularly with Mum’s health, her mobility issues and a breakdown in relationship with Dad. the break came at the ideal time as it enabled them to leave things behind, enjoy each other’s company and create some new memories.